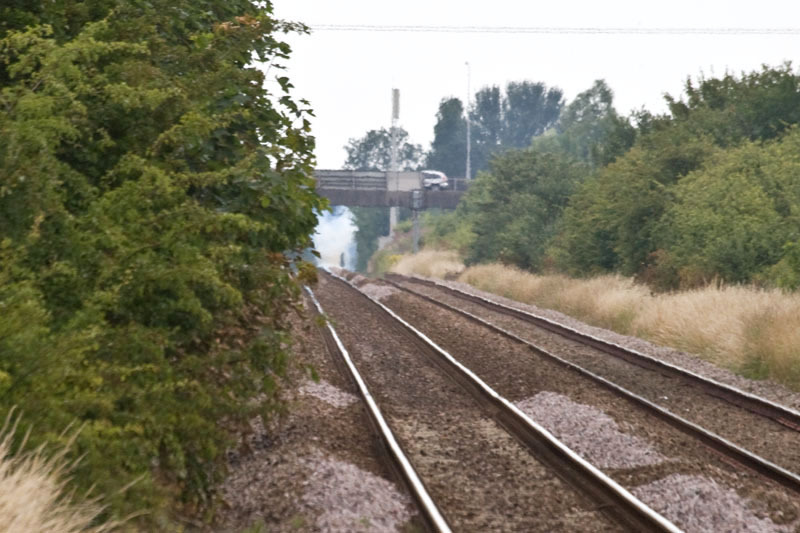 This sleepy little station usually sees only passenger trains - it is rumoured that more such metal trains are planned. 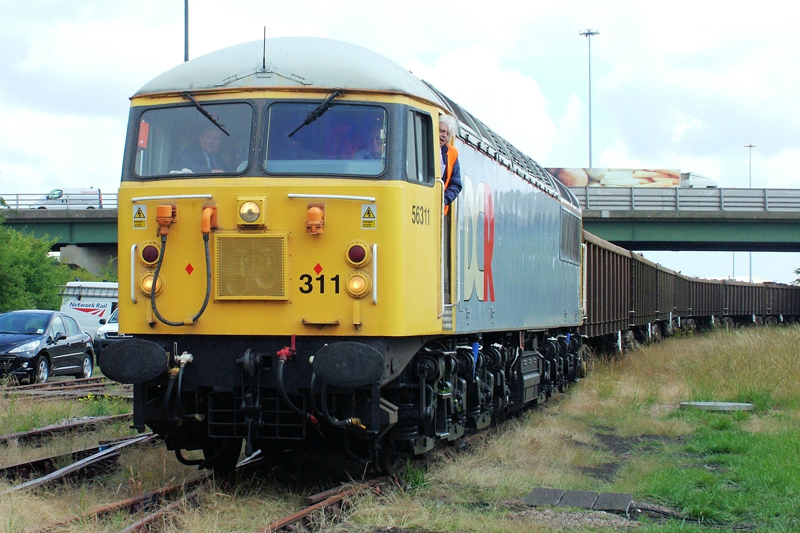 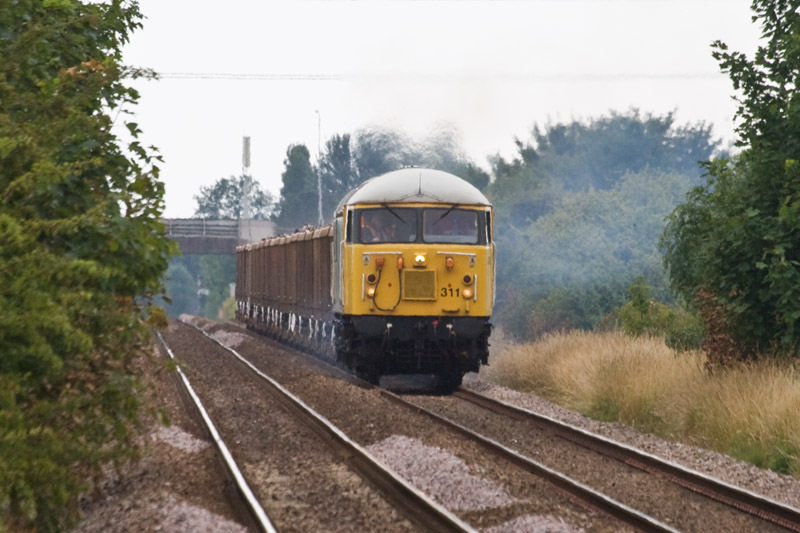 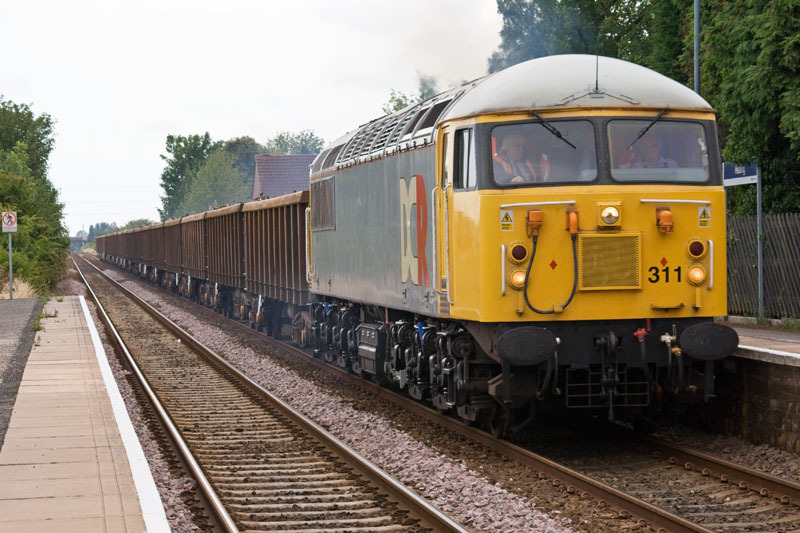 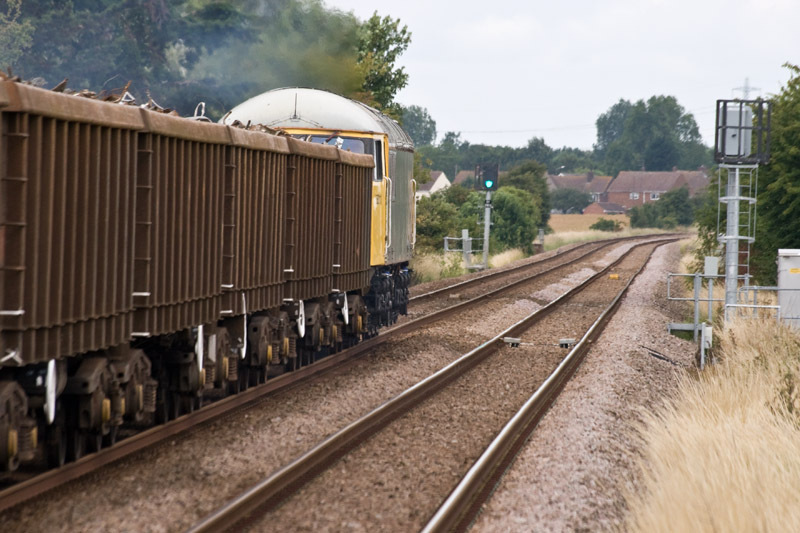 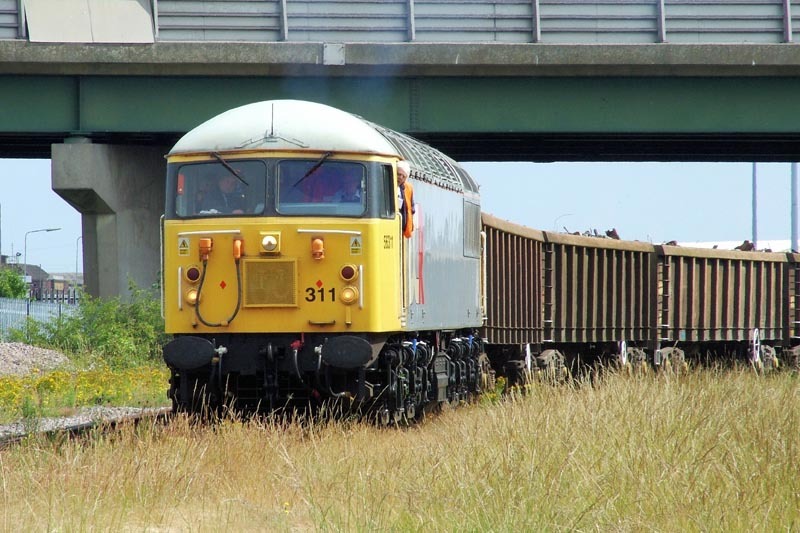 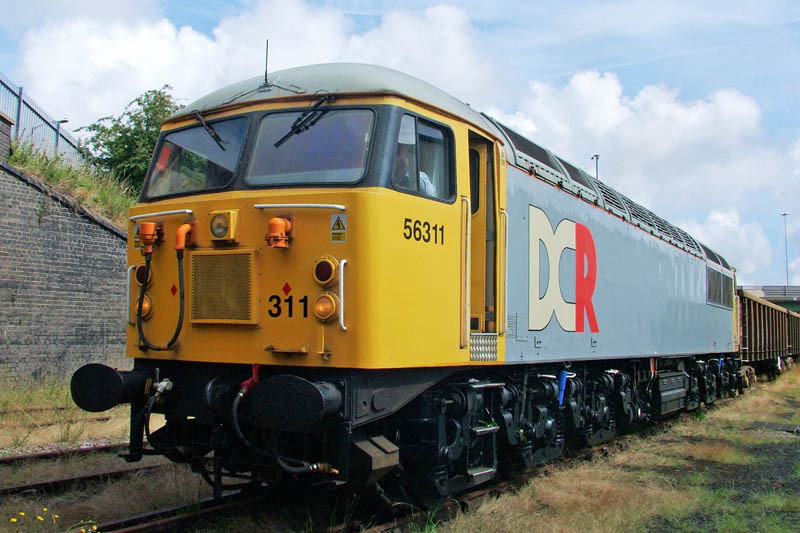 Its load is clearly visible as the train heads towards Stallingborough. 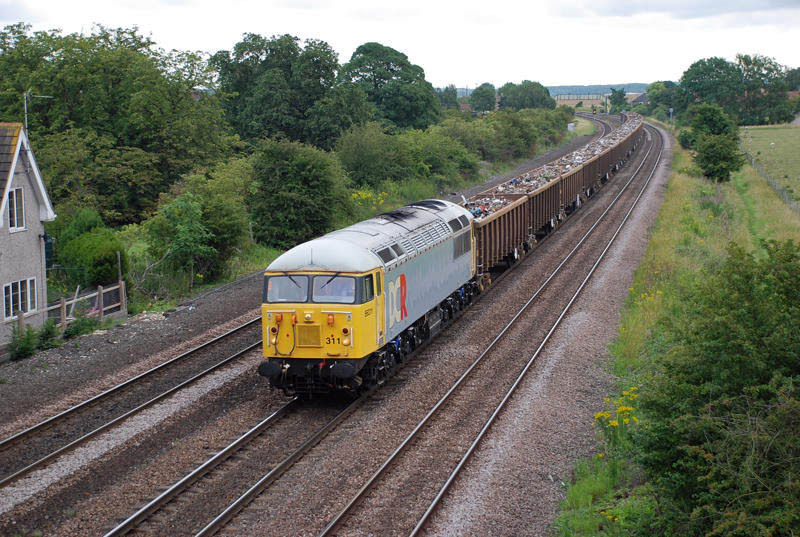 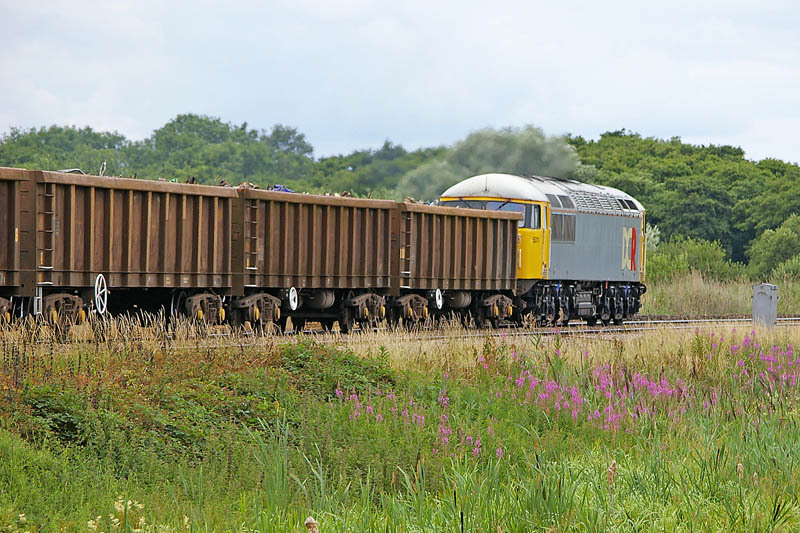 Nice shot of the loaded train approaching Knabbs Bridge on way to Barnetby. 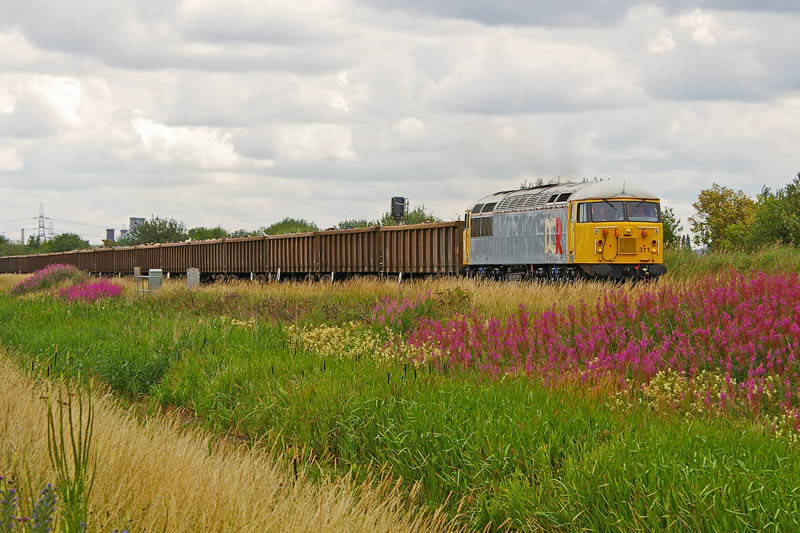 The very colourful lineside scene approaching Crowle station..
...and according to Peter the loco was making a grand noise!